The Rank Assurance Programme uses The Art of Search® to strengthen websites. Sub@omic introduces RankAssure an exclusive business development and SEO management training programme that uses The Art of Search® to put Search and the Customer at the heart of your business. Sub@omic's heavyweight SEO management strategy is published in paperback and available from Amazon and Apple as a download to your phone, tablet or E^book reader. Now The Art of Search can be brought to your business through an exclusive SEO management training programme. Delivered in-house or offsite over two full, non-consequtive days, our modular SEO management training puts Search and the Customer right at the heart of your business. Your management team will participate in the programme's exercises - designed to spark strategic deep-thought. At the end of each training session, your management team will have setout before them a strategic, execuatable, organic SEO action plan to follow. For ongoing reference and inspiration, each student will receive a paperback copy of our heavyweight SEO management strategy. This SEO management strategy sets out to wrestle control of SEO back to where it belongs and to where the buck stops, by arguing and illustrating that SEO is a strategic management issue and not one for the boffins. When a website is genuinely designed as an exoskeleton of the organisation it represents then, as the website pushes forward over new ground, the business inside cannot help but grow too. The speed at which such an exoskeleton may grow is defined by the agility of the business minds within, and an organisation that is truly Search-led will have its Customers seated virtually around the boardroom table. Taking the time to model your business website upon Search will bring the Customer so close that you'll be able to hear them think. Hit websites are developed with the Customer Experience (CX) foremost in the minds of business leaders. Let Sub@omic train your management team to lead your website to a #1 Google rank by thinking like a Customer. The Art of Search is the SEO management strategy 2,500 years in the making. The strategy argues that that corporate website is not an elastic plaything of the marketing department but a business exoskeleton, capable of searching-out and winning new business. 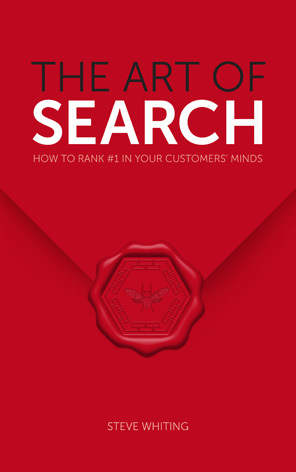 The Art of Search is an SEO management strategy translated from ancient Chinese military strategy. There is no management training academy for SEO equivalent to Sandhurst or West Point so Sub@omic trains senior management and brings the Art of War to life and right up to date.